Another month has passed, you know what that means? Not only are we over halfway through the year – scary huh? – but I have another bookish treat to share with you. More splendid gifts from my friends at Prudence and the Crow, this time in the form of my old pal Paddington. It’s not often that I take the time to revisit my much-loved childhood authors – although I will confess to having Beatrix Potter’s new release on pre-order – but I do so enjoy being given an excuse do so. 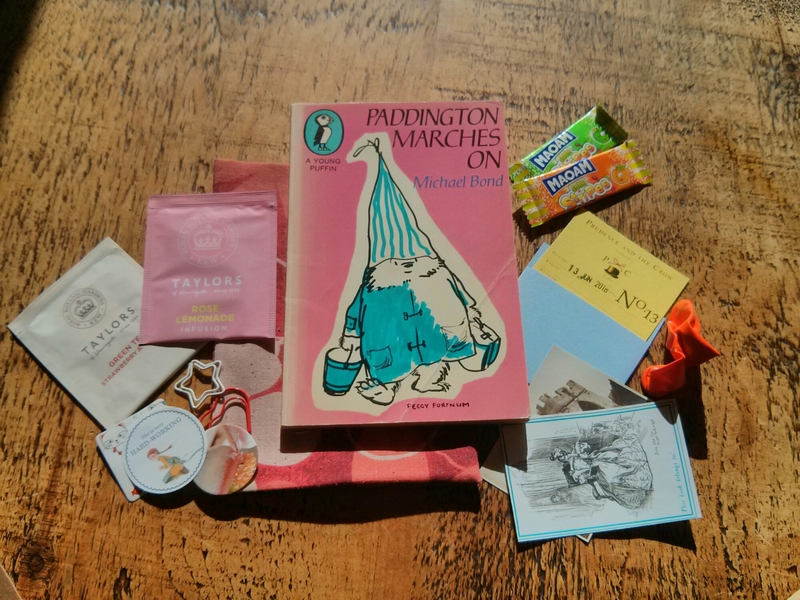 I was completely in love with Paddington when I was a little girl: bedsheets, teddy bear, fluffy bedroom rug – I had it all! His gentle, bumbling nature, toggled felt coat and somewhat magical stream of marmalade sandwiches hidden under his hat were a source of constant comfort to me. I only hope that as an adult I am still able to enjoy this delightful little bear as much as he deserves. Right now, with so many unpleasant things going on in life – let’s not mention them out loud, but I’m sure you know what I am talking about – I can think of nothing I want more than to curl up with a lovely vintage paperback, and a cup of rose lemonade tea. I listened to that too! I night have to dig out a couple of Witches now….